Teaching by Latri Nyima Dakpa Rinpoche. 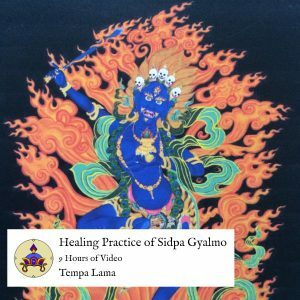 Learn about the practice for collecting and balancing the essences of each of the five elements: Space, Wind, Fire, Water, and Earth. Recorded in Montezuma, Costa Rica in February 2019. 14 hours of video in SD. Audio is not perfect, but Rinpoche can be heard clearly. Includes PDF of syllabus.